AMAZING DIRECT OCEANFRONT VIEWS FROM THIS SPACIOUS SOUTHEAST CORNER 3-BEDROOM UNIT! WRAPAROUND BALCONY, IMPACT GLASS THROUGHOUT. TWO GARAGED PARKING SPACES NEAR ELEVATOR! TWO UNITS PER ELEVATOR FOYER. MARBLE FLOORING, OPEN KITCHEN WITH GRANITE COUNTERS, SS APPLIANCES. EXCEPTIONAL STORAGE THROUGHOUT. SPACIOUS MASTER SUITE WITH CITY VIEWS, STEP SHOWER, SEPARATE TUB. 3RD BEDROOM/DEN HAS MORE GENEROUS STORAGE WITH BUILT-INS. UTILITY ROOM WITH W/D & LAUNDRY TUB. ENJOY THE POOL, SUN DECK, FITNESS CENTER & CLUB ROOM. PLACIDE IS A BOUTIQUE BUILDING WITH 24/7 DOORMAN. MANAGER ON-SITE. SMALL PETS WELCOME. SchoolsClick map icons below to view information for schools near 1800 S Ocean Boulevard #5f Boca Raton, FL 33432. 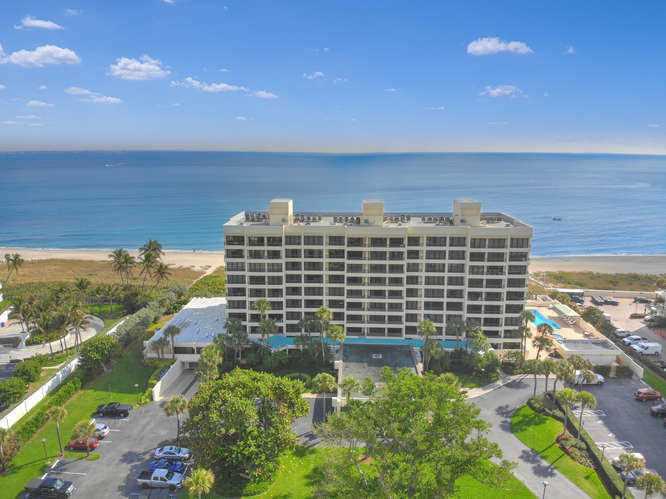 Listing provided courtesy of Boca Properties Inc..
MLS # RX-10502747: This property at 1800 S Ocean Boulevard #5f, Boca Raton, FL 33432 is located in the Placide subdivision and is listed for $1,350,000. MLS # RX-10502747 has been on the market for 78 days.